In a typical massage therapy session, you undress or wear loosefitting clothing. Undress only to the point that you're comfortable. You generally lie on a table and cover yourself with a sheet. You can also have a massage while sitting in a chair, fully clothed. 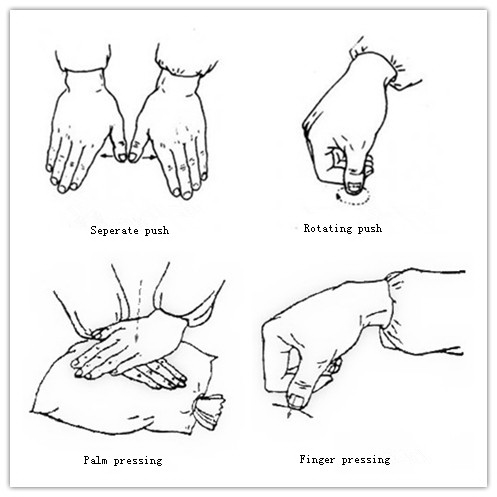 Your massage therapist should perform an evaluation through touch to locate painful or tense areas and to determine how much pressure to apply. Brush aside any thoughts that massage is only a feel-good way to indulge or pamper yourself. On the contrary, massage can be a powerful tool to help you take charge of your health and well-being, whether you have a specific health condition or are just looking for another stress reliever. You can even learn how to do self-massage or to engage in massage with a partner. Swedish massage. This is a gentle form of massage that uses long strokes, kneading, deep circular movements, vibration and tapping to help relax and energize. Deep-tissue massage. This massage technique uses slower, more forceful strokes to target the deeper layers of muscle and connective tissue, commonly to help with muscle damaged from injuries. Despite the benefits for specific conditions or diseases, some people enjoy massage because it involves caring, comfort, relief and creating deep connections with their massage therapist. However, massage isn't a replacement for regular medical care. Let your doctor know you're trying massage and be sure to follow any standard treatment plans you have. Although massage therapy appears to be generally safe for cancer patients, they should consult their oncologist before having a massage that involves deep or intense pressure. Any direct pressure over a tumor is discouraged. Cancer patients should discuss every concern about massage therapy with their oncologist.